When your trusty smartphone eventually passes away, the most environmentally friendly thing to do is to find somebody who can recycle it safely instead of ignorantly tossing it in the garbage. For many people, the satisfaction that they just made the planet a slightly better place to live is going to be enough of a reward for recycling their old electronics, but there are actually ways of making a few bucks along the way. Most businesses that recycle broken hardware would not pay you much, if they can afford paying you at all, but eBay is currently running a special that you might be interested in. For a limited time, all iPhones, iPads, and iPods, which are traded in through the retailer's Instant Sale program, will get their cash value increased as a part of an Earth Month promotion. Of course, how much cash you will get back for your gadgets depends on the condition they are in. For example, an iPad, which is functional, but has suffered physical cracks and dents, may be worth up to $142, an iPhone 4 in a similar condition can get you up to $114 in return, while a damaged iPod touch can be worth as much as $50. Besides the generous amount of money that you will get, free shipping and a complementary $5 eBay gift card are also included in the deal. It is all made possible thanks to CExchange, the recycling company that eBay has partnered up with for its “green” campaign. Besides recycling old hardware, CExchange also refurbishes electronic devices and distributes them to their new owners through eBay. Furthermore, if your iDevice is so damaged that repairing it is practically impossible, CExchange will kindly recycle it for you free of charge and while covering all shipping expenses. So what are you waiting for? Get your broken iPhone out of the bottom drawer in your closet and have it recycled! Besides that, if you have even more broken gadgets that you want to dispose of, go to eBay's Instant Sale page and see if you can get some cash for it. 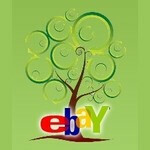 If you want to visit eBay's Instant Sale page, click here. huh? what? you give your iphone 2-3 for moniz...then you put 400$ more and buy iPhone 5, got it!